Brown_9_34_x_12_14_Envelopes is rated 5.0 out of 5 by 1. Sherlock Holmes would definitely use this envelope not only to match that brown trench coat of his but also because it just looks like a super secretive envelope someone with his taste would carry around. This envelope gets to the point and are very long lasting, just like that brain of his. Is it your business to know what other people don’t know but want to find out? Need to store some very confidential files about such individuals? Or, are you trying to make yet another Sherlock Holmes TV show/movie and need to put that extremely unique script somewhere? (sarcasm included in last sentence.) This envelope is perfect for any of those situations! It's durable, reliable and matches any trench coat Sherlock owns. Except for the Robert Downy Jr. kind of Sherlock because he's too cool for that. 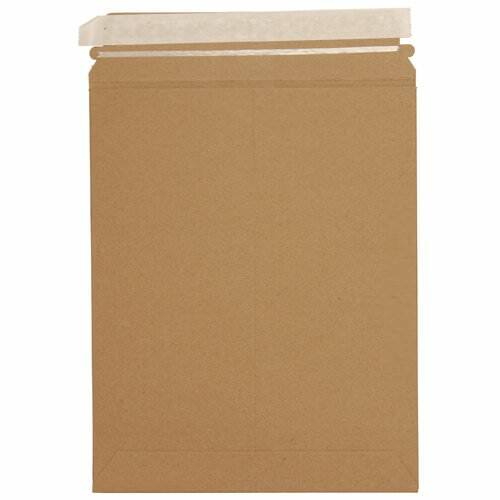 Brown Kraft 100% Recycled 9 3/4 x 12 1/4 Photo Mailer Envelopes with Peel & Seal Closure! Sold individually or by the case!